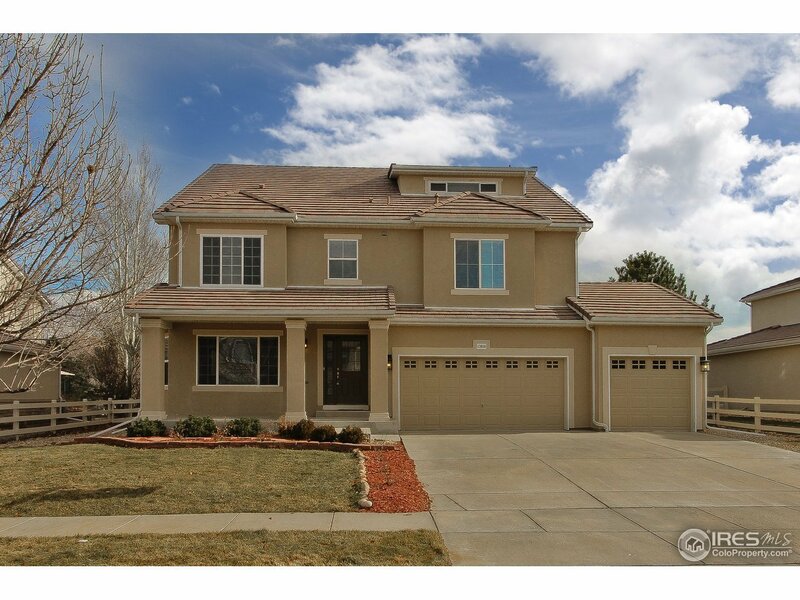 Remodeled home in the Broadlands with 5 beds, 3.5 baths plus office. Modern white kitchen with glass subway tile. Bosch appliances, kitchen island with seating for 5. Hand-scraped engineered hardwood floors. Private, fully fenced back yard with stamped concrete patio. Huge master suite with balcony, 5-piece bath with custom tile work, large shower and jetted tub. His and her closets. Loft area with wet bar, third level flex space and finished basement. Community pool and clubhouse.